Mucha pantalla por poco dinero. 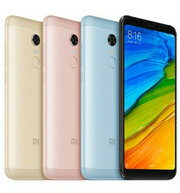 El Xiaomi Redmi 5 Plus ofrece una pantalla grande y un rendimiento de gama media por menos de 200 euros (~$236). Esto suena como una buena oferta, pero vamos a mirar más de cerca en nuestra prueba! 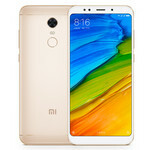 Sin duda con este y otros móviles Xiaomi aprieta las tuercas al segmento de gama media, que ve cómo se mueve el suelo bajo sus pies. Ahora mismo puedes comprar el Xiaomi Redmi 5 Plus por unos 180 euros en su versión de 4 GB de RAM, y como hemos señalado seguramente no te arrepentirás. Una vez más es en la cámara de fotos y su nivel donde la diferencia entre gamas más se nota. El coste de un terminal no va siempre del lado del hardware y en la cámara, no trabajar el software, se paga en negativo. Lo peor sin duda de este smartphone. El Xiaomi Redmi 5 Plus me ha dejado sensaciones que no experimentaba en un gama media desde hace mucho tiempo. Por primera vez en meses, analizo un terminal cuyo precio no puedo criticar, pues no creo que esté lejos de lo que ofrece. Frente a ello, la mayoría de marcas inflan 100 ó 200€ terminales que nos venden como chollo, pero no lo son. Esta ha sido sin duda la iteración elegida por Xiaomi para que sus Xiaomi Redmi dejen de ser el estandarte de la gama baja. Para ello tiene ya a la gama A, tanto en Redmi como en Redmi Note. 85% Xiaomi Redmi 5 Plus review: Is this the best sub-£200 phone in the world? So is the Redmi 5 Plus really the best sub-£200 phone in the world? The case can definitely be made. The looks, performance and build quality all belie the price. The Moto G6 by contrast, although a good £200 phone, looks, feels and performs like a £200 phone. Add to that the impressive battery life and high quality of the display I can't imagine anyone being disappointed. We’re fast running out of cliches to describe what Xiaomi does with the Redmi range. Let’s try this one: the Xiaomi Redmi 5 Plus proves once again that the word “budget” doesn’t have to be a vulgarity. At a recommended retail price of S$299, you could do worse if you choose to pick up a competing device like the vivo V7+. The Redmi 5 Plus is arguably better built, packs a faster processor, responds more reliably in day-to-day use… and, well, vivo’s Funtouch OS can’t hold a candle to MIUI in terms of polish. Xiaomi once again proves that good performance doesn’t have to come with a heavy price. For a sub Php10k device, the Redmi 5 Plus brings with it respectable performance, strong battery life, a good display, and a number of customization and shortcut options. Although, the phone does have some caveats such as a sub-par set of cameras and a very annoying matte screen protector. It’s also worth noting that even though the Snapdragon 625 is still a very capable processor, newer more powerful chipsets are already available on the market. Either way at Php 9,800 (See listing here), the Redmi 5 Plus is quite the contender. If you enjoyed the Redmi Note 4x, the Redmi 5 Plus is essentially the same phone with a higher screen ratio and some other minimal differences in specs. Although it is amazing the Redmi 5 Plus can record videos up to 4k which is unlikely for a phone in this price group. The Redmi 5 Plus brings a single new feature over the Redmi Note 4, the wide screen. We can see how it may not be enough to justify upgrading, so Redmi Note 4 owners might as well decide to sit tight and wait for Nougat. Everyone else looking for a reasonably priced phablet might want to give the 5 Plus a good look. The Redmi 5 Plus is as good as the Redmi Note 4 but with 18:9 screen and that gives a whole new experience to this handset. Indeed a very good buy. However this handset has not yet been launched in India, not sure if the company will launch same thing / name it something else or launch a different variant / model in India, most likely Redmi Note 5. 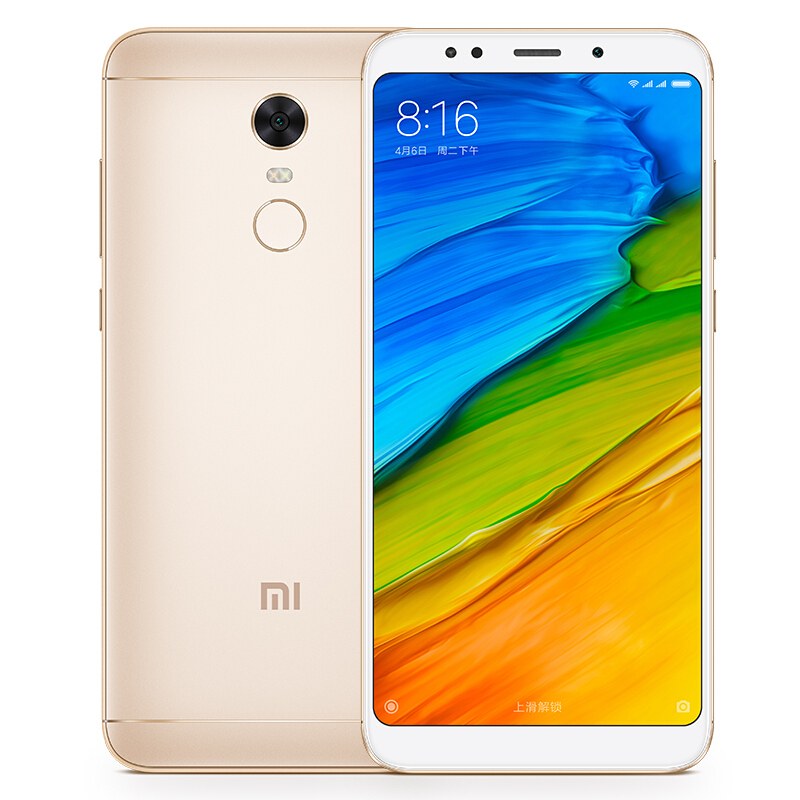 Xiaomi Redmi 5 Plus Review: Best Mid-range 18:9 Phone? Xiaomi has this reputation of offering excellent value phones that don’t cost an arm and a leg to acquire. The Redmi 5 Plus is one such device, offering a relatively powerful chipset, excellent display and astounding battery endurance for not much money. While it stumbles a bit in the imaging category, that trade off is worth it considering what you’re getting. Xiaomi Redmi 5 Plus Unboxing, Initial Review: The Ultimate Bang-for-buck 18:9 Phone? That’s it for our unboxing of the Redmi 5 Plus. We’ll be sorting out our issues with Google Play and start the review process, though take note that GearBest is advertising that the phones they sell from their website already has Google Play installed when it ships out. The phone starts at $218 (around Php 10.8K) in their website, with shipping costs being relatively low for what you’re paying for. Currently, we can buy the Xiaomi Redmi 5 Plus in Gearbest for the modest sum of $ 269.99. If responsive shortly whether the Xiaomi Redmi 5 plus is worthy to induce our hands on it, then YES. this is still the most cost-effective full-screen smartphone coming our way from a prime brand. There have been launched different models with a similar purpose in mind, however, none of them is capable of competing with this handset when it comes to the price-over-hardware ratio. without doubt, the selling point of the Redmi 5 plus is the full-screen with a Full HD+ resolution. but we additionally ought to keep in mind this is a Snapdragon-powered phone that merely means it’ll offer a sleek and stable performance. excluding this, our model comes with a large battery that has become a distinctive factor in all Redmi line devices. 80% Test Xiaomi Redmi 5 Plus : une belle surprise ! 81% Recenzja Xiaomi Redmi 5 Plus. Dawno nie używałem smartfona z aż tak dobrym akumulatorem! 83% Đánh giá chi tiết Redmi 5 Plus: Vẫn đúng chất Xiaomi "Ngon - bổ - rẻ"
79.3%: Esta evaluación no es convincente. Debe ser considerado que difícilmente existen portátiles que reciben una evaluación abajo de 60%. Esta portátil es evaluada abajo del promedio, esta realmente no es una recomendación para la compra.